The City Law School’s Professor of European Union Law and Jean Monnet Professor of European Law examines the law, policy and practice of the EU’s Common Foreign and Security Policy including the Common Security and Defence and gauges its interactions with the other external policies of the EU (including trade, development and energy). Professor Panos Koutrakos, The City Law School’s Professor of European Union Law and Jean Monnet Professor of European Law, has co-edited the Research Handbook on the EU’s Common Foreign and Security Policy (Edward Elgar Publishing) with Professor Steven Blockmans, Professor of EU External Law and Governance at the University of Amsterdam and head of the EU Foreign Policy Unit of the Centre for European Policy Studies (CEPS). This new book puts the spotlight on the role of the EU in a world undergoing rapid transformation and change. 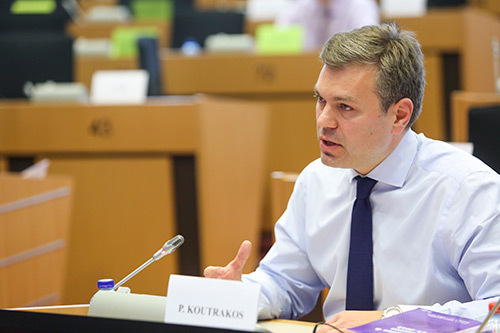 Opportunities for the EU to avail itself of opportunities such as technological progress and mobility will depend on the EU’s member states and institutions adopting and implementing a comprehensive and integrated approach to external action. The Research Handbook on the EU’s Common Foreign and Security Policy, brings together academics and practitioners from different areas of law (EU and international law) and from the field of political science. Policymakers and all those with an interest in the external activities of the EU will also find this an insightful resource. 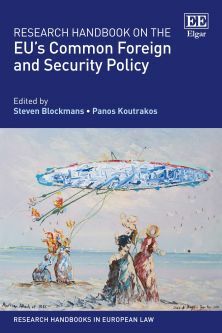 The book includes chapters from renowned experts that examine the efficacy and visibility of the EU as a diplomatic, military and civilian actor in a turbulent world. The authors’ original contributions address the impact that existing frameworks, structures and procedures have on the effectiveness of the EU as an international actor and consider the legal challenges to the EU’s integrated approach to external action. "Under the Treaty of Lisbon, the Common Foreign and Security Policy (CFSP) occupies a distinct place in EU external relations. This Research Handbook will provide an indispensable tool for understanding the specific features of the CFSP as well as the way it interacts with the non-CFSP part of EU external relations law. We are faced with a comprehensive, well-structured and highly informative collection of chapters by a group of top experts on EU law and external relations law in particular." Jean-Claude Piris, Former Director-General of the Legal Service of the Council of the EU, describes the new book as a "must-read for everyone who is interested in understanding how the basic texts in the EU Treaties, as modified by the Lisbon Treaty, and their implementation in the recent years, may (or not) help the EU to become a stronger actor on the international scene." For more information please visit this weblink.